Emily interned with Morgan Stanley Wealth Management as part of the 2017 Girls Who Invest Summer Intensive Program. As part of the Girls Who Invest Summer Intensive Program in 2016, Keana interned at PNC. She received a return offer this summer. “I’m optimistic and grateful for the opportunity to venture out into a whole new section of the professional world that I didn’t think was readily available to me and, despite coming in at a disadvantage, finding success in the asset management division of a bank. That’s something that some people – and most English majors – don’t get to experience during their college years, so I don’t take it for granted.” Read more about Keana’s experience. 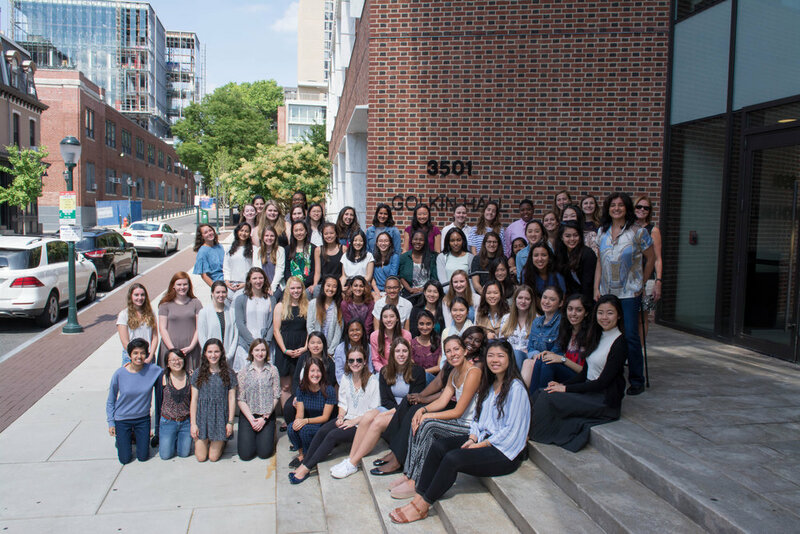 As part of the 2017 Girls Who Invest Summer Intensive Program, Simi interned with Wellington Management. Simi says, “All in all, I don't even think I realized just how much I had learned until I consolidated all my knowledge into my final presentation. It's very exciting to be able to understand things I don't think I understood 2 months or even 6 weeks ago. During the 2016 Girls Who Invest Summer Intensive Program, Meagan interned at Perry Capital. She went on to intern with J.P. Morgan Asset Management this summer. Meagan says, “We had a built-in support group while we were all going through our internships, with people our age to turn to whenever we had questions or tips we wanted to share with the broader group. I wasn’t expecting to become so close to the girls in the program when I first started. I was pleasantly surprised to find that everyone was collaborative and willing to help each other, even during recruiting when some of us were applying for the same jobs.” Read more about Meagan’s experience. Girls Who Invest scholars hail from colleges and universities— public and private—across the United States. Girls Who Invest scholars’ majors reflect a myriad of academic interests.